English National Ballet (ENB) has announced the live streaming of a symposium exploring the impact of its Dance for Parkinson’s programme on 27 October. Together with research partner the University of Roehampton, ENB will present new research from the national programme, as well as a moderated discussion with programme partners and representatives from the health and cultural sectors. First started in 2010, the Dance for Parkinson’s programme was inspired by the work of the Mark Morris Dance Group’s Dance for PD in Brooklyn, New York. 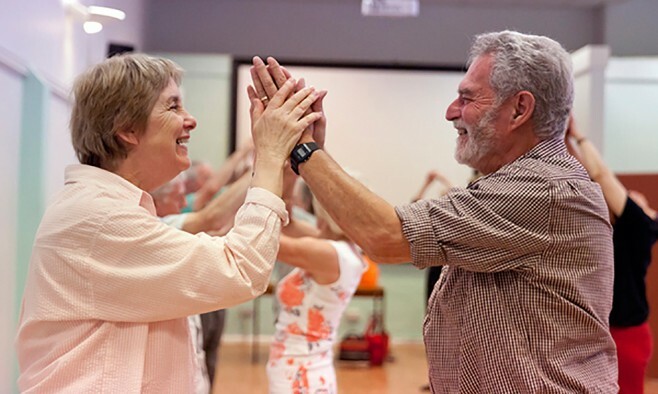 The programme uses dance as a method to keep people with Parkinson’s fit and healthy. Fleur Derbyshire-Fox, engagement director of ENB, said: “In 2011, ENB commissioned a ground-breaking piece of research to provide evidence of impact on the benefits of dance for people living with Parkinson’s led by Dr Sara Houston and Ashley McGill from the University of Roehampton.